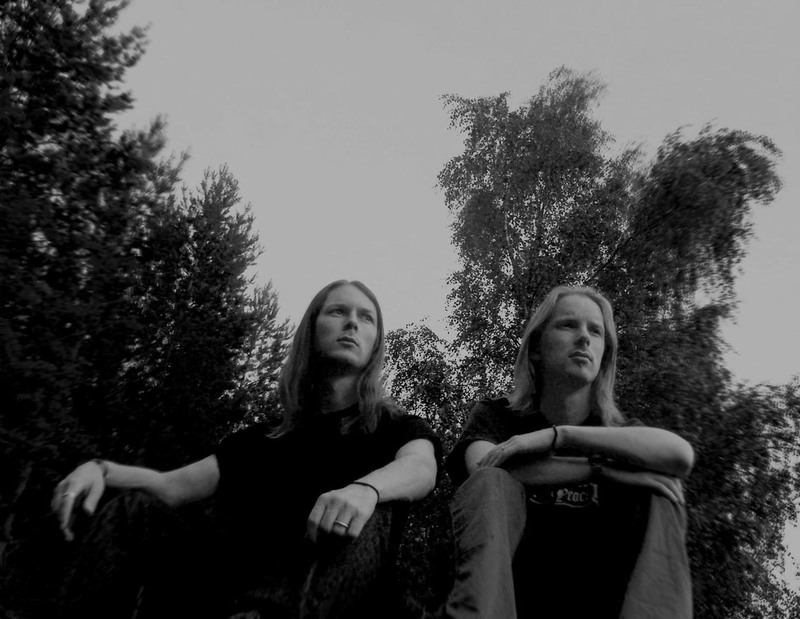 When Lost Kingdom is born in the year of 2000, it marks the first big project of brothers Daniel and Mikael Tjernberg. The music sees neoclassical orchestrations blend with elements from medieval as well as contemporary music in compositions inspired by fantasy worlds and nature mysticism. In the early days of Lost Kingdom, most material was arranged for piano and recorder, and the duo often performed the music live in local churches. In 2003 their first demo album, Under a Clouded Sky, was released. Holding a total of 7 pieces arranged for keyboards, percussion, woodwinds and even some vocals, the demo still today serves as a good demonstration of the duo’s more minimalistic works. The visions soon lead towards a more epic sound. In 2005, inspired by magical tales of dreams and imagination, the duo enters Goatman Studios to set about recording another demo. The work results in Shrouds of Victory, which is finalized in the following year. For the first time one can hear the ambitious orchestrations and powerful arrangements that has come to define the sound of Lost Kingdom. While the musical character is romantic and avant-garde, it also draws near completely different musical styles such as jazz, popular and folk music to create a unique and fresh blend. Just a few days after putting the final touches on their second demo, the brothers are eager to set off on a new musical journey. Itâ€™s then, in the fall of 2006, that they come up with the idea about a tribute to Mother Earth. The writing process immediately starts. One of the first pieces to form is the neo-romantic, orchestral In Heaven, which is chosen to represent them on the Radio Rivendell Compilation released in the following year. Their participation on the compilation yields enthusiastic reviews from the public and press alike, and as a result hereof they are offered a record deal with Waerloga Records in May 2007. Under a Clouded Sky (no association with the demo with the same name), arranged for big orchestra and piano, is another example of the earliest compositions to emerge from the Mother Earth tribute work. This piece as well as In Heaven is made available on the Lost Kingdom official homepage and MySpace from early on in the production process, letting people get a feeling for what to expect from the coming album. 2007 proves to be a year of hard work and countless sleepless nights, as perfectionists Daniel and Mikael Tjernberg works to get every little thing just right. At times it seemed hopeless, with the enormous amount of time being spent on large scores such as that of As the New Dawn Awakes and Birth of a Sun in tandem with the deadline that had been set for January 2008. But somehow it all started to come together as a whole in late 2007, and every track was basically finished by the turn of the year. It wasn’t however until negotiating a month-long postponement of the deadline that the brothers could actually say that the album would meet their high standards. Mastered by Simon Heath of Za Frumi fame, the master disc was sent to the planting factory in early March 2008, whereupon all that was left to do was to wait. In April As the New Dawn Awakes was officially released, marking the end of a long and demanding journey, as well as proving the same to have paid off. In 2010 the brothers had composed a total of 9 new compositions of fantasy-inspired music, which was put together to form the duo’s most ambitious and polished production to date. The album is thematically centered around a medieval tale, which unfolds in epic full orchestra arrangements mixed with music for chamber ensemble and more intimate sections. Simon Kölle, the man behind bands such as Za Frumi and Musterion (and more) have mastered this jewel of an album.